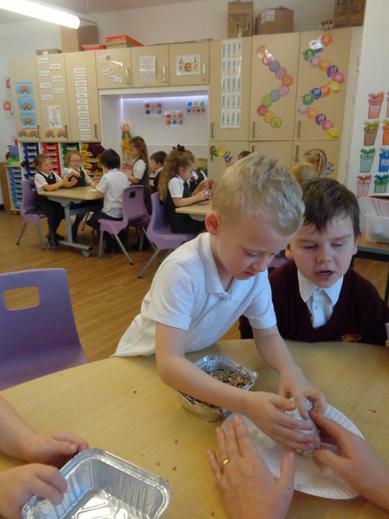 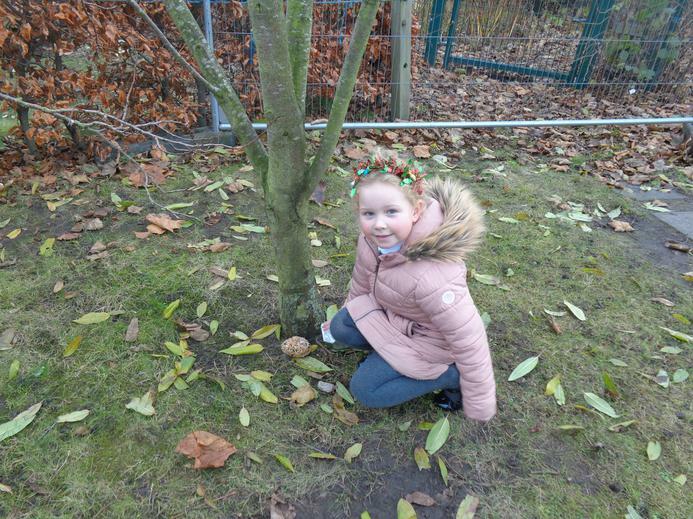 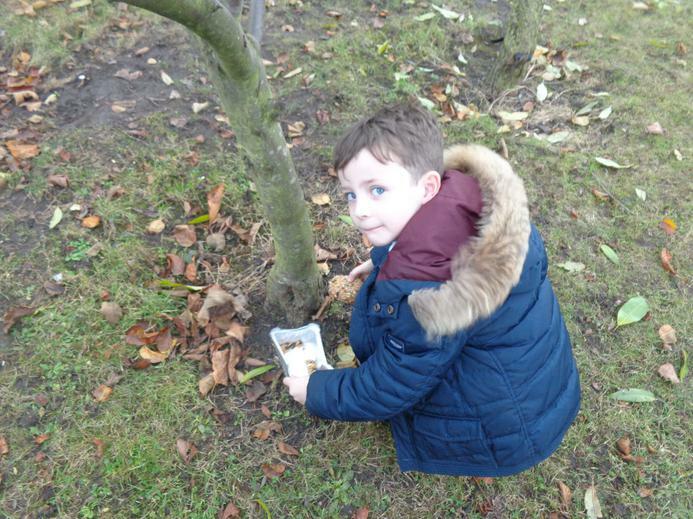 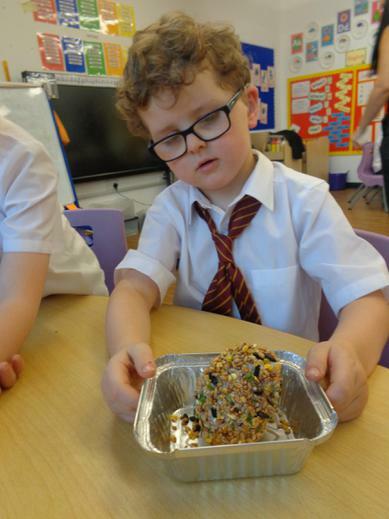 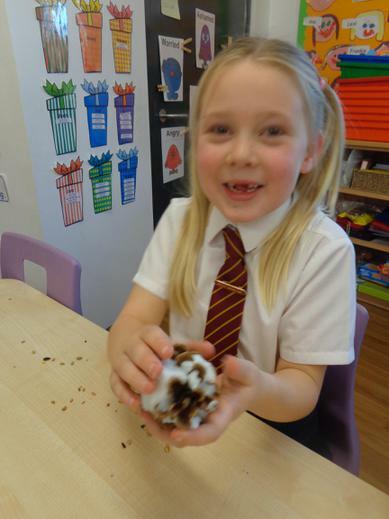 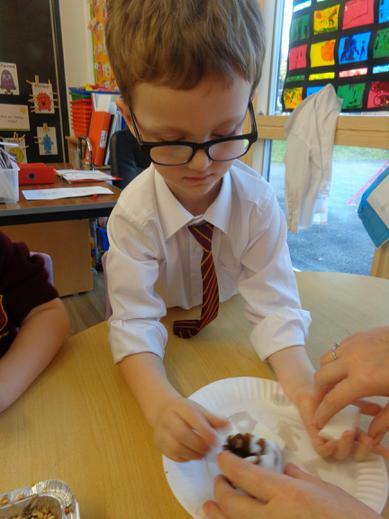 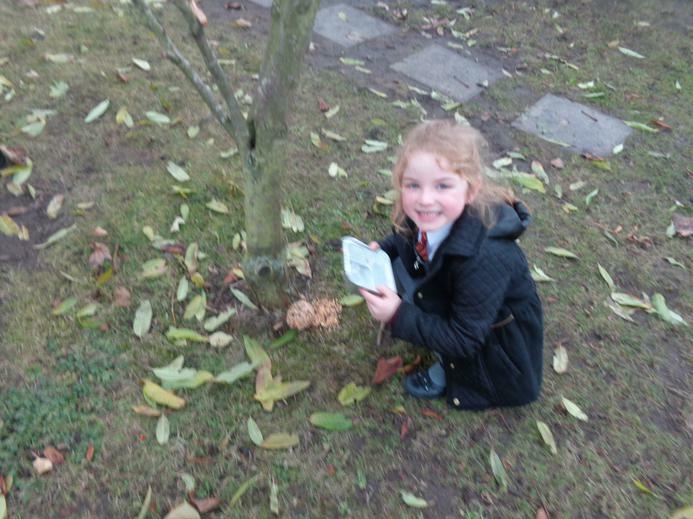 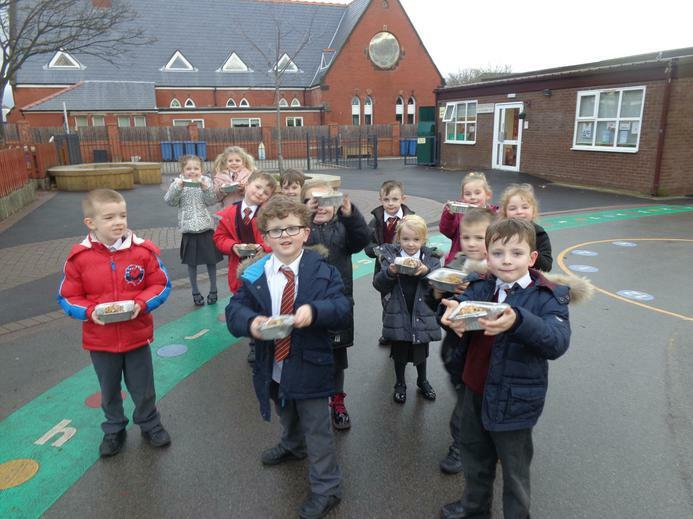 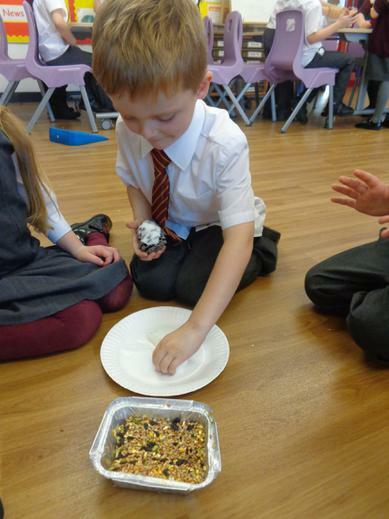 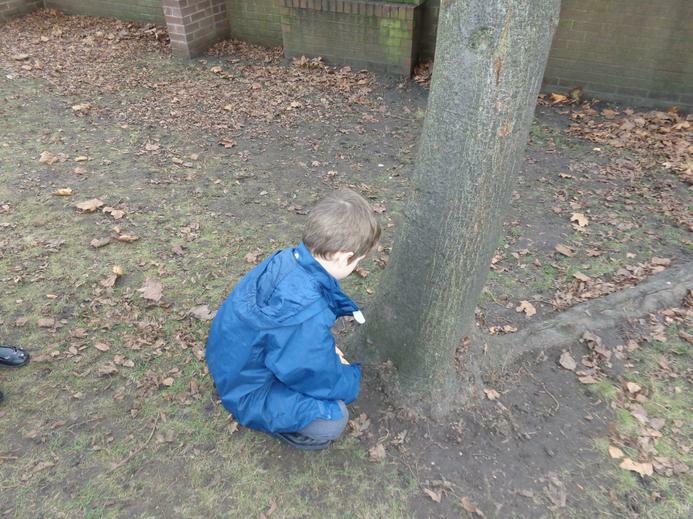 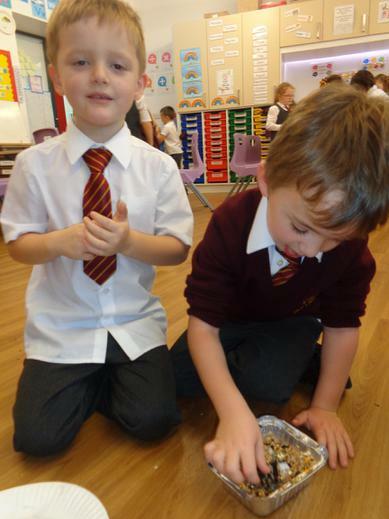 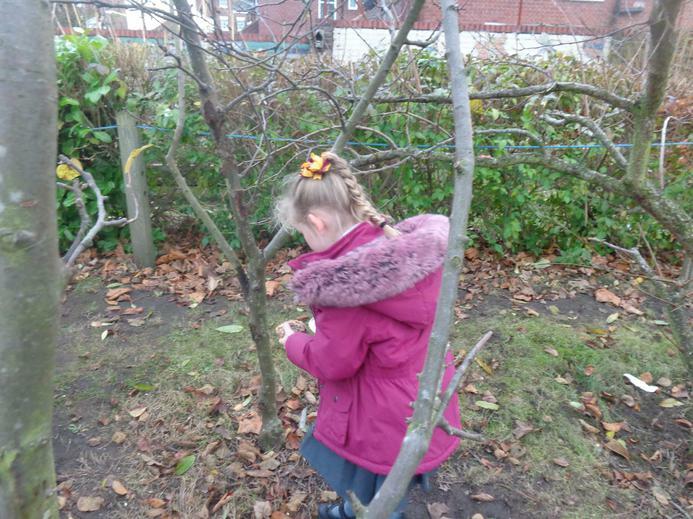 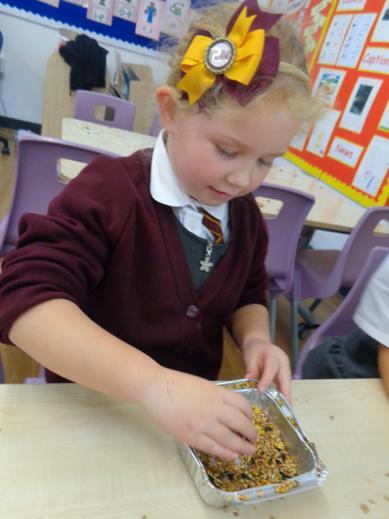 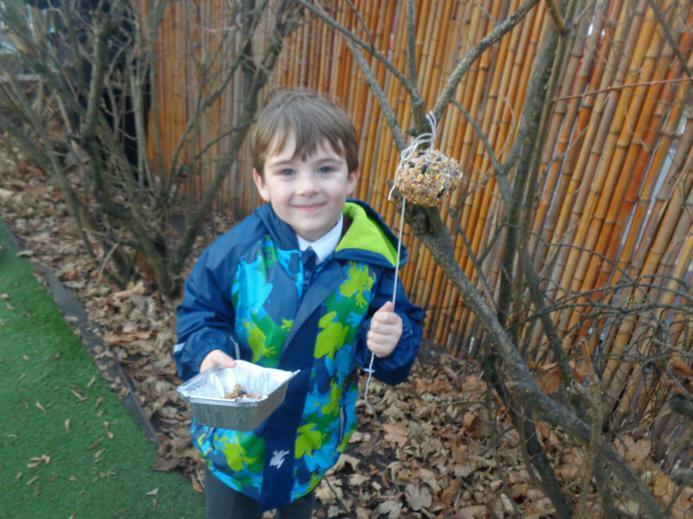 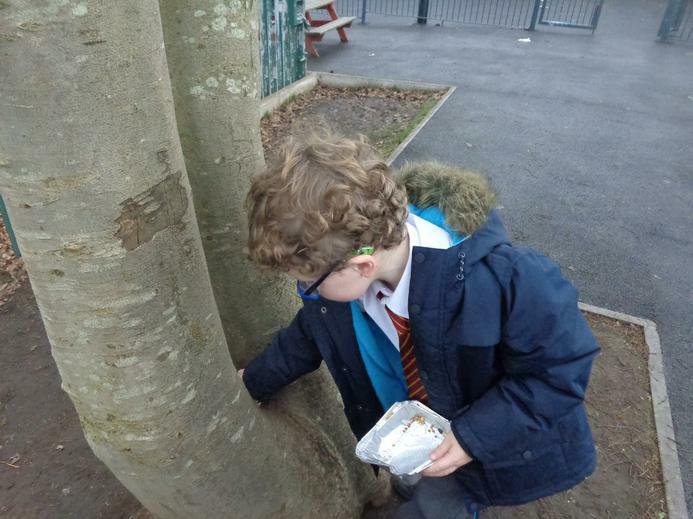 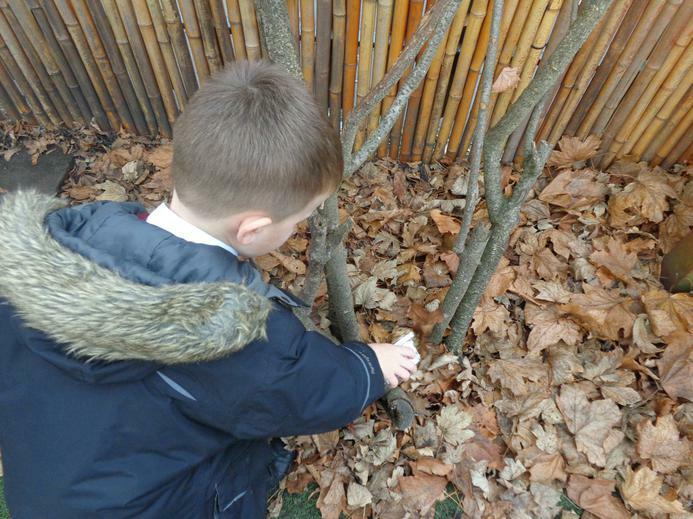 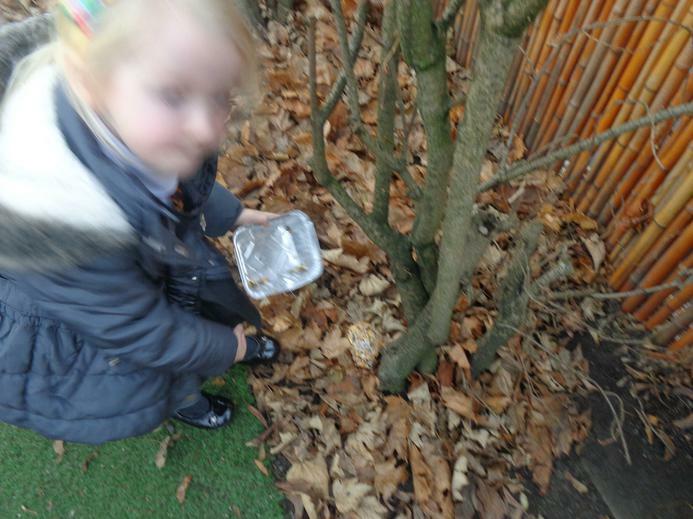 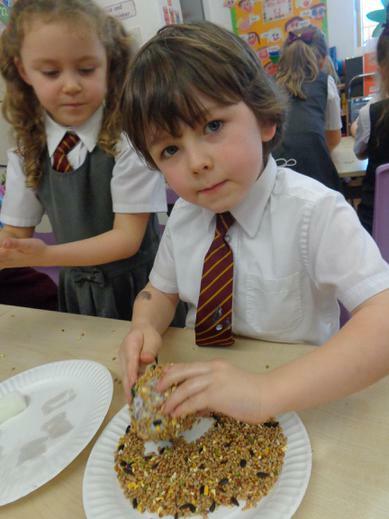 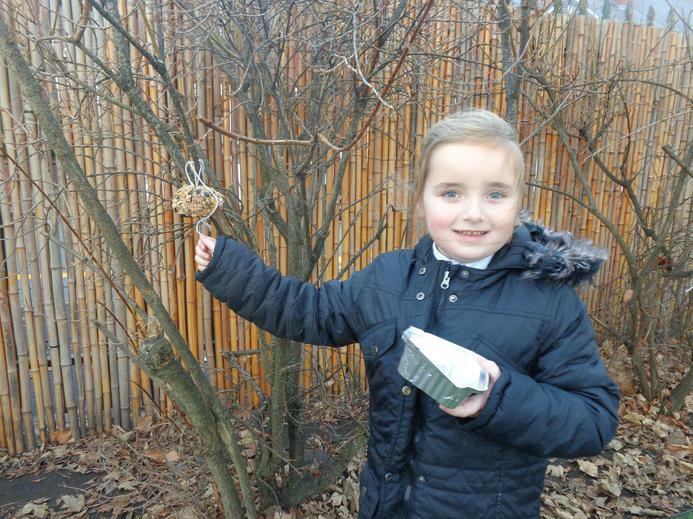 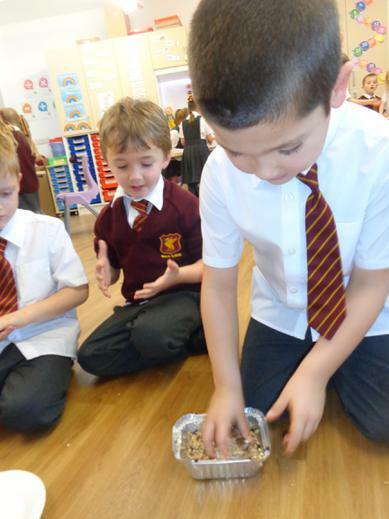 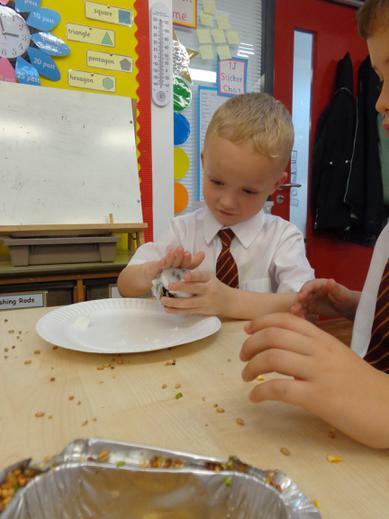 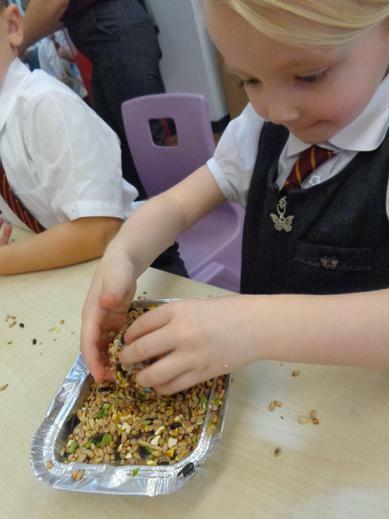 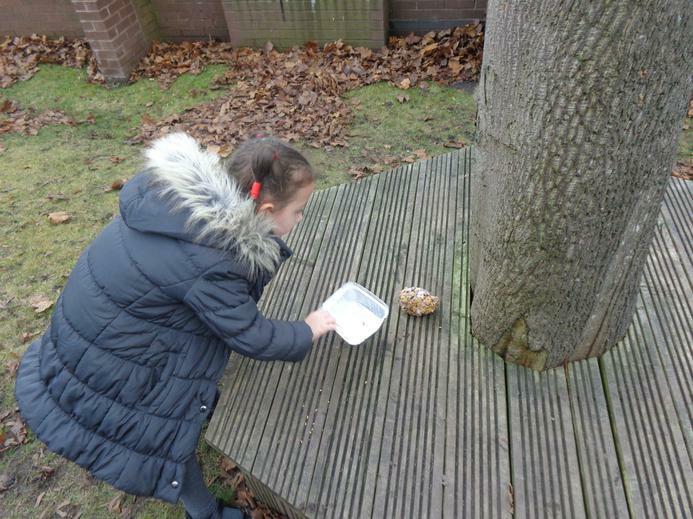 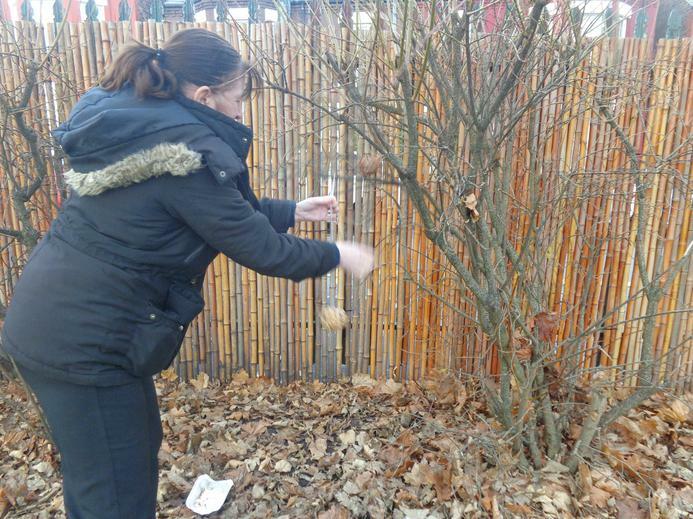 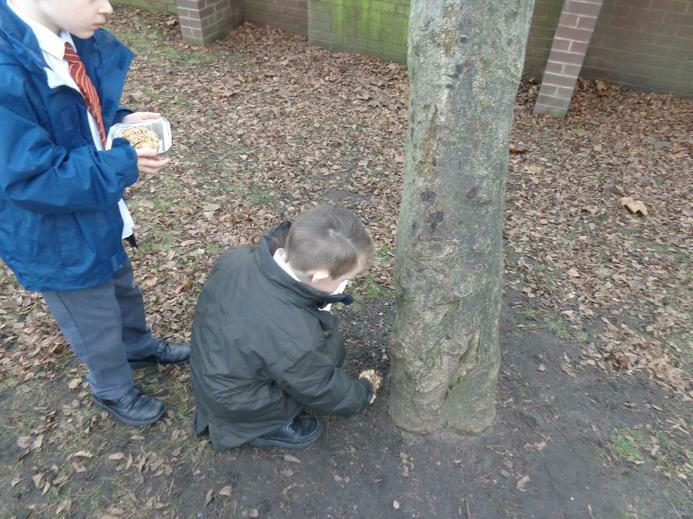 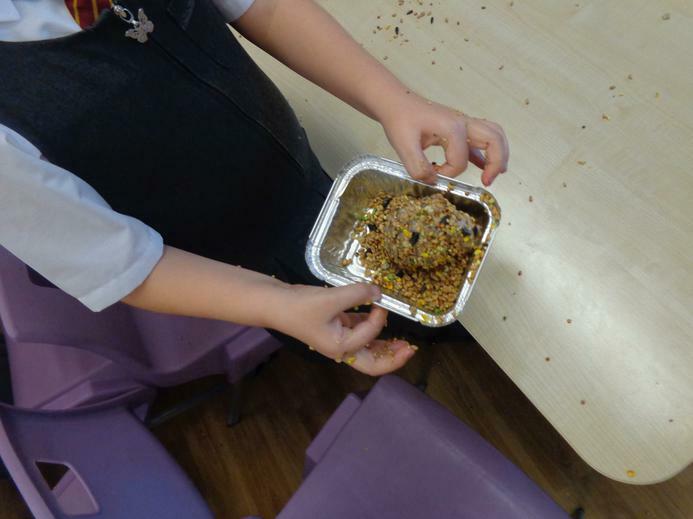 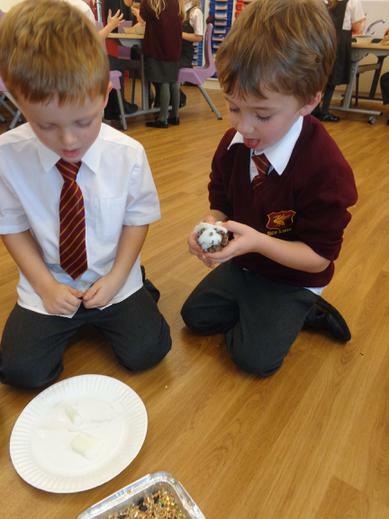 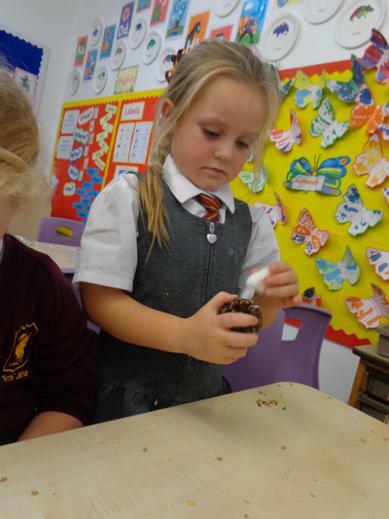 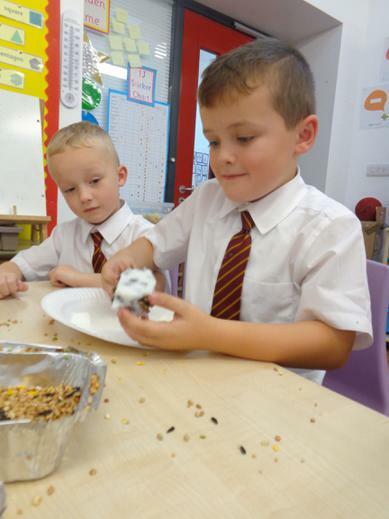 The children in year 1 made bird feeders in R.E. 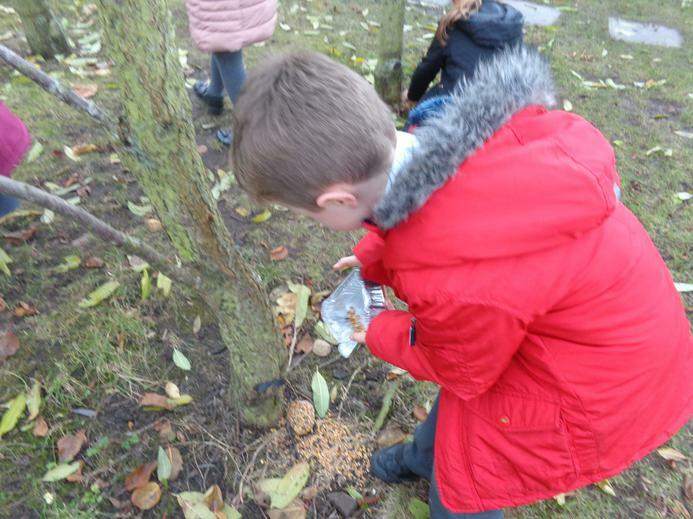 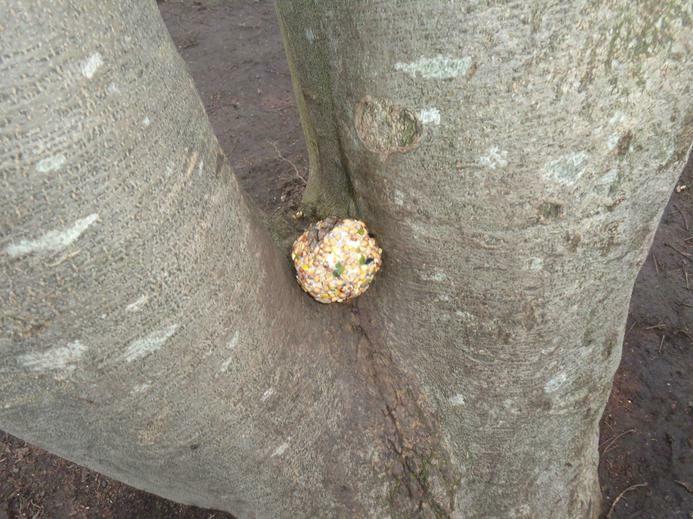 They then put them in the trees around the school grounds so that the birds could have a tasty treat on these cold mornings. 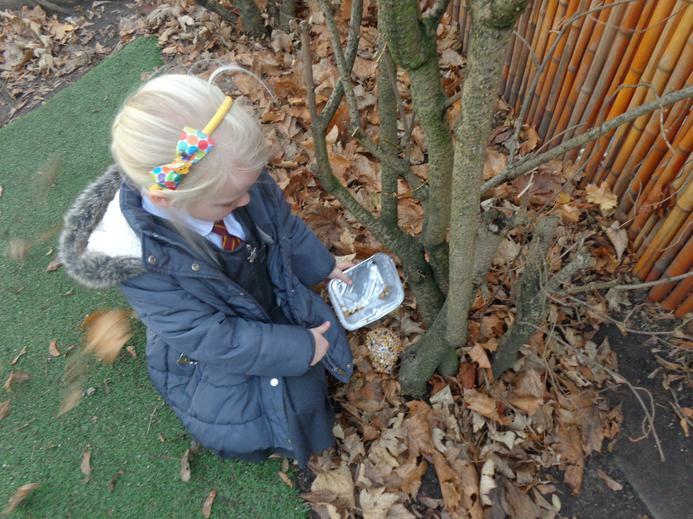 Encourage planting in the school grounds.